Zip pullers attach to hooks to deter pickpockets. Curb a thief's enthusiasm with a feature that will make them fumble. Clip that zip. Three level lock-down point for zippers helps protect against pickpockets and gear thieves. Need to secure the gear in your bag? These sturdy clips do the trick with a no-nonsense lock. Patented in USA (9408450, 9161596 & 8365365); Europe (EP2653056); China (2320651 & ZL201530235124.3). Additional patents pending. 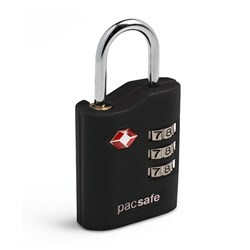 The Pacsafe Camsafe LX10 - Black has many exciting features for users of all types. It's one of FactoryOutletStore's best selling . 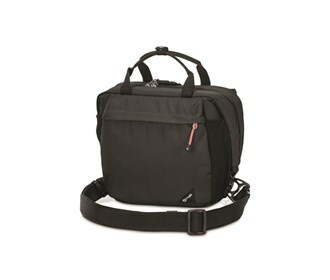 See the Pacsafe Camsafe LX10 - Black gallery images above for more product views. 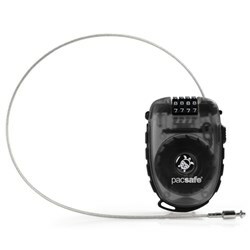 FactoryOutletStore stocks a full line of accessories like 4 Dial Retractable Cable Lock and Combination Lock for the Pacsafe Camsafe LX10 - Black. The Pacsafe Camsafe LX10 - Black is sold as a Brand New Unopened Item.